A gate is a designed small opening to allow the melted plastics into the mold cavity, a successful gate design is determined by gate type, dimensions, location, it's deeply related with the materials been used, the type of mold plates, and economic factors. 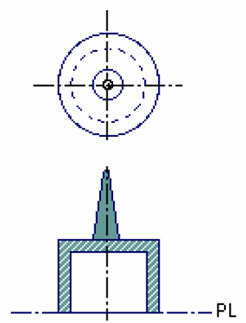 Gate design is one of the most important elements to influence injection mold quality and productivity. Single gate has always been selected as a priority unless the distance of the mold flow is too big and beyond the limits of the injection molding pressure. Multiple gates always cannot avoid the problem of weld line where the flows meet from different gates. 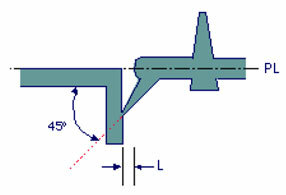 This weld line are not allowed sometimes specially when the injection molded parts have critical appearance or strength requirement, single gate also have good performance on packing, part strength, lower scrap rates, which gating way to employ will be determined by the structure, dimension appearance requirement of the molded parts. Direct gate. Commonly used for single cavity molds, it required less injection pressure and feeding time is short, but the disadvantage of this type gate is difficult to remove and there would be big gate marks left. This gate type is common to see in house appliance and consumer product, such as bins, printers, washing machine, TV etc. Fan gate, as the name suggest, it have a shape like a fan, it permits mold flow enter into the cavity through a wide opening, it's used to create a stable flow into a wide parts, it had advantage to avoid deformation and maintain dimensional stability. 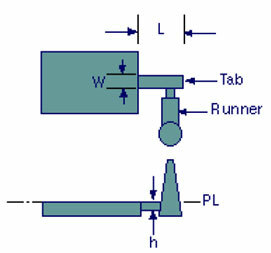 Pin gate is specially for 3 plates molds, the runner channel are located in a separate runner plate, mold flow is divided into several direction and lead into the cavity by several gate locations. 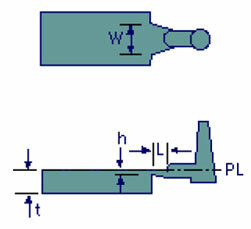 The gate point is designed to be very small and it allowed to be trimmed off by the action of injection mold opening. This gate type has disadvantage of too much scraps rates as the runner is big. 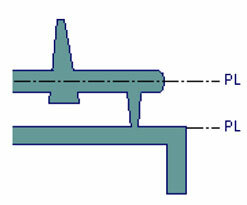 Sub gate is used for 2 plates molds, the gate point is very small and location of the gate is choose to be on uncritical area, the gate can be easily trimmed off along with the action of injection mold opening, this type of gate is widely employed for automatically plastic products production. WHAT IS FUNCTION OF FLESH GATE?